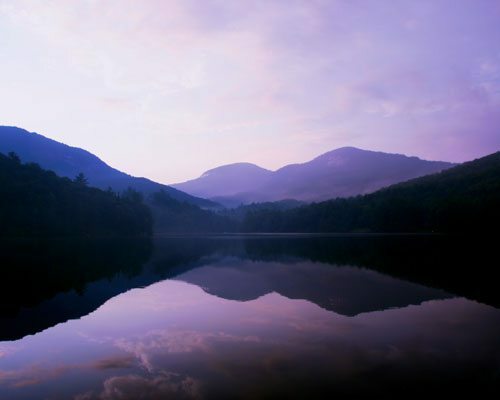 Lake Toxaway is a pristine freshwater mountain lake fed by dozens of free flowing streams. 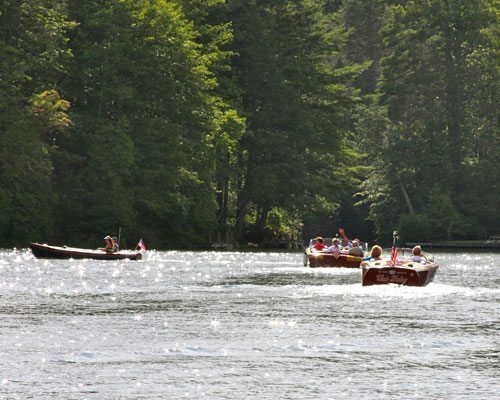 It has unsurpassed recreational opportunities such as boating, swimming, and fishing. It has an active fish stocking program and the lake is managed under a program designed by a lake biologist. Our lakes are monitored by Allied Barton Security and by North Carolina Wildlife Officers. Please refer to the Red Bird Report for current Lake Conditions. 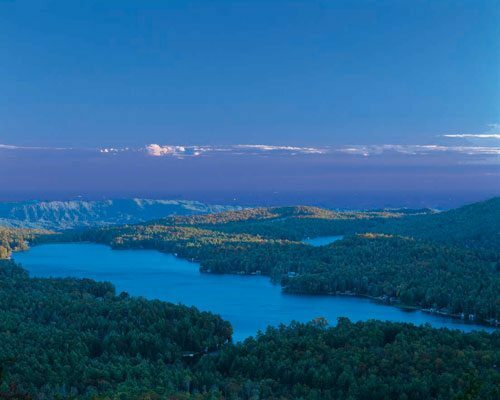 Lake Toxaway covers 640 acres and is largest private lake in North Carolina. Shoreline: 14 miles. Depth: 60 feet. Water Source: Multiple free-flowing mountain streams with the Toxaway River being the main source. Fish: rainbow trout, large and small mouth bass, bluegill, and walleye. Access: Private, Lake Toxaway Estate members in good standing. Lake Cardinal is a smaller private lake located just upstream from the main lake. It has spectacular mountain views. Recreation: Swimming, sailing, canoeing (no gasoline powered motors). 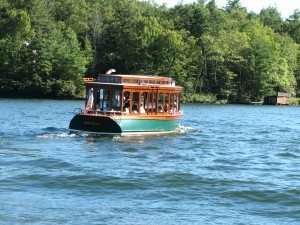 All boats and trailers that have vacated Lake Toxaway for use on any other body of water must be commercially cleaned before re-entering our lakes. Alternatively, such boats and trailers may be thoroughly cleaned by the owner with a 20% solution of Clorox and water, as approved by our lake ecologist. Detailed boat cleaning instructions are available (View Link). Lake Ecology Report. 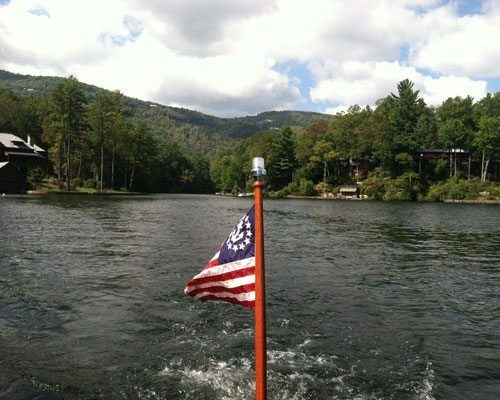 Help us preserve the beauty of Lake Toxaway (View Link). Be on the lookout for exotic invasive plant species around the lake. Please immdediately report any sightings these plants to the LTCA. Children under age 13 must wear an appropriate Personal Floation Device while the boat is underway. Children under the age of 14 may not operate a boat unless accompanied by an adult. No high speed boat operation after 8:00 p.m. or one hour after sunset, whichever occurs first, and before 8:00 a.m.
All boating and fishing activities must comply with North Carolina Rules and Regulations.